Children’s sports leagues across California are required, by law, to follow certain safety measures to guard against injuries resulting from concussions, however, an NBC Bay Area investigation revealed a widespread disparity in training and a serious lack of enforcement could be putting thousands of children at higher risk for brain injuries. Children’s sports leagues across California are required, by law, to follow certain safety measures to guard against injuries resulting from concussions, however, an NBC Bay Area investigation revealed a widespread disparity in training and a serious lack of enforcement could be putting thousands of children at higher risk for brain injuries. Investigative reporter Bigad Shaban reports on a story that first aired Oct. 21, 2018. Dr. Cindy Chang is a co-director of the UCSF-Benioff Children's Hospital Oakland Sports Concussion Program. Chang served as the Chief Medical officer for USA’s Olympic team during the London summer games in 2012. She has treated more than 1,000 concussions in her career and believes a lack of education, awareness, and training are leading to serious brain injuries among young athletes across the Bay Area. While concussion-related deaths are rare, repeated head injuries can cause irreversible damage to the brain. Concussions are often caused by a blow to the head and can immediately throw athletes off balance and lead to memory loss. If caught early, concussions usually heal within a few days with rest and proper medical care. "We can have safety within sports," Chang said. "Relative risk is what we're looking at and we're trying to decrease that relative risk. We're balancing risk and benefit and I think that benefit greatly outweighs the risk of playing a sport." In California, more than 6,300 kids and teens are treated for sports-related concussions each year. Coaches across California are required to undergo training to recognize the signs and symptoms of concussions, however, teams are not required to prove they are adhering to the law, nor does the state check to see if leagues are playing by the rules. “I don't think we have enough money in California to have … concussion police going to every sports league -- nor do we want that,” said Assemblyman Kevin McCarty (D-Sacramento), who authored legislation to expand concussion safety requirements beyond public and private schools to 27 types of youth club sports, including football, martial arts, skiing, swimming, soccer, and skateboarding. “We want to make sure that we had a base level that all coaches and players and parents to know what a concussion is all about and what to do if it happens," McCarty said. California Assemblyman Kevin McCarty authored a state law that requires coaches to get training on how to recognize concussions across 27 different youth sports. Youth sports leagues, unlike private or public schools, often have volunteer coaches, who may not be familiar with the state's safety requirements. Critics, however, are quick to point out that all the required training are resources are available online for free. California does not require teams to submit documentation proving compliance, nor does the state lodge any type of penalties against teams who break the law. 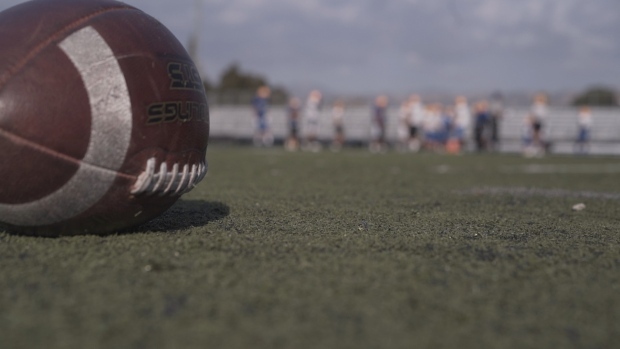 The NBC Bay Area Investigative Unit surveyed 252 youth sports leagues across the Bay Area to determine whether teams are following California concussion laws. More than 80 percent of leagues, 207, wouldn’t share details on their safety protocols. While 45 leagues responded to the survey, 47 percent admitted to not following all of the state’s safety requirements. Those leagues are responsible for the safety of 19,595 children in the Bay Area. “I certainly worried about my own safety on the field when I played football,” said Tucker Andrew, a recent high school graduate who played tackle football during his junior and senior years. “I definitely was worried I could be seriously hurt. Tucker was only 16 years old when he suffered his second concussion. He was playing quarterback when he got tackled. The other player posted the video online and seemed to brag about taking Andrew out of the game. Tucker Andrew suffered two concussions as a high school athlete. Stanford University hopes to learn more about which types of collisions on the field may lead to brain injuries. Researchers from the Camarillo Lab in the Department of Bioengineering helped build special mouthguards that can measure an athlete’s head movements on the field in hopes of determining the amount of force of each tackle. Stanford designed the mouthguards for the university’s own football team as well as about 100 high school football players in the Bay Area. New research at Stanford University could shed light on what types of hits on the field could lead to injuries in the brain. Stanford is now partnering with TeachAids, a nonprofit organization, to use virtual reality to educate student athletes across the country on how to prevent and recognize concussions. "It's not the coach's sole responsibility, it's not the trainers' -- the kid has to take some initiative," said Grant. Dr. Gerry Grant and his Stanford University colleague Dr. David Camarillo are collaborating on a study that uses high-tech mouthguards to measure the motion of an athlete's head during a collision on the field in hopes of better understanding the amount of force that can lead to concussions. The mouthguards are being used by the Stanford football team and players at three Bay Area high schools. The virtual reality curriculum will launch in 2019 and aims to educate more than 100 million children over the next five years. “I definitely don't think enough players know the risks, and by the time they do it's too late,” said Andrew, who has since quit football in hopes of pursuing music at Drexel University in Philadelphia. Before leaving for school, Andrew volunteered as a coach with his old high school team in hopes of educating young athletes.